US: 3+ years in prison for California man | Laser Pointer Safety - News of aviation-related incidents, arrests, etc. 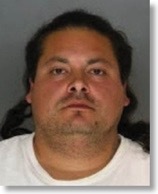 Balltazar O. Valladares, 30, was sentenced to three years and one month in prison for shining a green laser at a Sacramento CA sheriff’s helicopter on March 16 2009 [see report here]. The copter was hit while searching for the source of a laser that earlier in the evening had illuminated a Southwest Airlines flight landing at Sacramento International Airport. Valladares admitted hitting the helicopter but denied hitting the airplane. He pled guilty in June 2009 to one count of interfering with the safe operation of an aircraft. In addition to his 37-month sentence, he also will have three years of probation after his release.